Boca Dam with the Little Truckee River below it. TRUCKEE, Calif. - The Bureau of Reclamation will modify Boca Dam beginning in May 2019 to better resist the impacts of potential earthquakes. The project will extend to October 2020 and temporarily stop during the 2019/2020 winter. Boca Dam is located six miles northeast of Truckee. During the project, Stampede Meadows Road will remain open with traffic controls. The road over Boca Dam will be closed during the project, but there is an alternative route to Boca Campground and other recreational facilities on the west side of the reservoir via Prosser Dam Road to Boca Road. Use caution when traveling in this area during construction. The reservoir will operate at around half its capacity, about 28 feet lower than maximum water levels, during the summer and fall of 2019 to assist construction. The original construction of Boca Dam was completed in 1939 and the dam is 116-feet high and 1,630 feet long. The dam creates Boca Reservoir with a capacity of about 40,000 acre-feet. 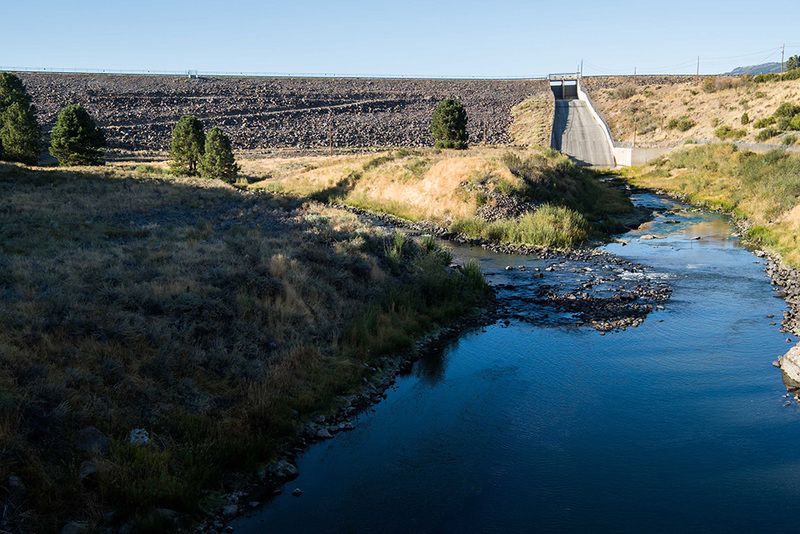 The reservoir regulates the Little Truckee River and provides water for irrigation, recreation, fish and wildlife benefits, and municipal and industrial uses in Truckee Meadows. The dam is owned by Reclamation and operated by the Washoe County Water Conservation District. More information can be found at the project website, www.usbr.gov/mp/sod/projects/boca. Learn more about Reclamation’s Safety of Dams Program at www.usbr.gov/ssle/damsafety.. Direct project related questions to the Mid-Pacific Construction Office at 530-892-6262 (TTY 800-877-8339) or sha-wco-cfiles@usbr.gov.